The E-70-SS-EWP entry phone is a compact, weather and vandal resistant speaker phone designed to provide two-way handsfree audio communication and proximity entry. 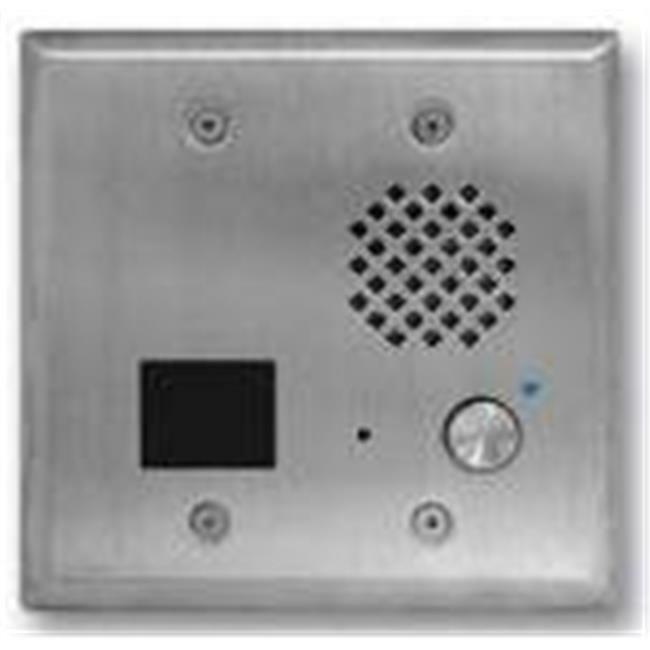 The entry phone features a built-in 125 KHz proximity card reader, microphone and speaker volume controls, selectable auto answer for monitoring and intelligent call progress detection for automatic hang-up when the call is completed. The card reader outputs industry standard 26-bit Wiegand data, allowing it to be used with a Viking ES-1 door controller or any 26-bit Wiegand compatible controller.